Marketing has undoubtedly changed a lot over the last couple of decades, from physical billboards and brochures towards MPUs and promoted tweets. You can already read our guides about branding, SEO, and standing out in e-marketplaces throughout the Reaching Customers page, but in this article we’ll tackle how to have an international social media strategy to create global buzz and engage directly with customers in overseas markets. Social media remains an at times frustrating and intangible marketing channel, one that takes a lot of time and resource to build and optimise. But the rewards can be significant given the right amount of personality, clarity of message, and proactivity. With SEO increasingly linked up with sharability, and with ads on Facebook, Twitter and LinkedIn getting more sophisticated, the importance of a positive and engaging international social media strategy is only going to increase. The first thing to ensure is that your content is good and people will want to like or share it. People don’t go onto social media sites for bland corporate messaging, but they go onto to receive updates from pages they actively like – as well as to engage with colleagues, friends, celebrities and family of course. Content that stands out and has personality is always going to do better than factual and bland messages. Ensure you have an engaging tone of voice that suits the platforms you are using and also is consistent with your own brand. If you’re promoting your company on Twitter your copy needs to be punchy and eye grabbing while on LinkedIn people are more likely to react to thought leadership style messaging. It’s here that having multimedia content is also absolutely essential. Always post copy alongside an image that sums up the content you are sharing. Exciting videos are increasingly vital if you’re trying to grab people’s attention on platforms like Facebook. If you’re looking to promote a more visual brand, whether that’s a food product, clothes or even something like seemingly dry like stationery, make sure to use eye-grabbing imagery on a visual platform like Instagram or Snapchat. And make sure you’re constantly creating engaging and interesting new content. Company’s that share the same sales pitch ‘About us’ page or always post offers rarely make the most out of social media. If you don’t have a blog, or another page on your site for ever-changing content, start one. Whether it’s case studies, testimonials, thought leadership, research dressed up in infographics, video reports of things you’ve done, or even interactive content like polls and surveys, make sure the user is getting something fun and memorable from the link you are sharing. And you have to tailor this to each market. If you are trying to get people to read about your, say, children’s learning product, the messaging that will best attract an audience will be different from country to country. Every market has its own culture so customers in each market will therefore respond differently to different cultural symbols and language. You need to research your market to ensure your messaging doesn’t conflict with certain cultural sensitivities that may be pertinent among the customers you are trying to reach. As such, you need to ensure you different social media messages reach different audiences. In the same way as you may have a different website for your Chinese and domestic markets, you may need to invest time in running multiple social media accounts for different markets. 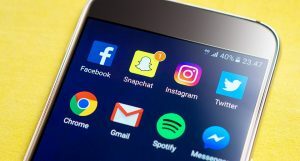 If you’re trying to launch your product in Germany, you may want to create new social media accounts for the German market to allow yourself to have different strands of content for that audience. This also brings in another key point, which is that of language. As SDL Managed Translation is always keen to point out in content they’ve written for us, 70% of Internet users are not native English speakers. While many international customers will have some English speaking understanding, if you are trying to launch in a market like Mexico where people predominantly speak in Spanish, then having a Spanish language account may be key. Of course you may not have the time or money to invest in having a Spanish speaking Twitter user on your team 24/7. But scheduling tools like Hootsuite and Buffer do allow you to schedule tweets in bulk – allowing you to periodically get a certain number of social media messages translated to then pace out and republish over time. These scheduling tools can also be useful when trying to post content across time-zones so that they reach customers around the world at the right time – something to bear in mind even if you’re posting the same messages to an English-speaking market like Australia. Take note as well that there are certain times of the day where you can hit a sweet spot in consumer traffic to social media between different markets. It is widely reported that 4pm GMT is a great time to reach potential customers both in the UK as they leave and in the USA as people travel to work – both times of the day at which more people are typically looking at their social media streams. Also, bear in mind that the social media platforms that are popular in the UK may not be the most popular ones in the market you are entering. In China, for instance, Renren, Weibo and Wechat are more popular than Facebook, while Russia has its own popular social media site in VK. Social media is a great way of reaching customers as people in all markets are increasingly consuming content through their social media streams. It’s also a great place to liven up your brand through engaging multimedia or interesting thought leadership style content. However, as with many things relating to internationalising your business – especially online – it’s case of being able to walk before you run. Ensure your domestic social media is already engaging – and re-engaging – customers before trying to diversify. An international social media presence can require a lot of research, message adaption and time-efficient resourcing, but it’s a rewarding and fun way of reaching and interacting with potential new customers.